Have you ever eaten Shokupan in Japan? You must try it! It’s that delicious, soft and fluffy white bread loaf that you can get in Japan. They are amazingly fluffy and keep moist for longer than ordinary bread because of the Yudane method. Why is Japanese Bread So Fluffy? I did a little bit of research about why Japanese bread is so soft and fluffy and has the mochi-like texture. And I found the “Yudane” method. Yudane method makes the bread incredibly soft, and helps the bread stay fresh longer (it does not last long in my house though…). The Yudane method works so remarkably well to make soft and fluffy bread and makes the bread last longer because the heated gelatinised starch in the flour keeps the moisture inside the bread and it will make the bread soft and last longer. What is the Yudane Method? 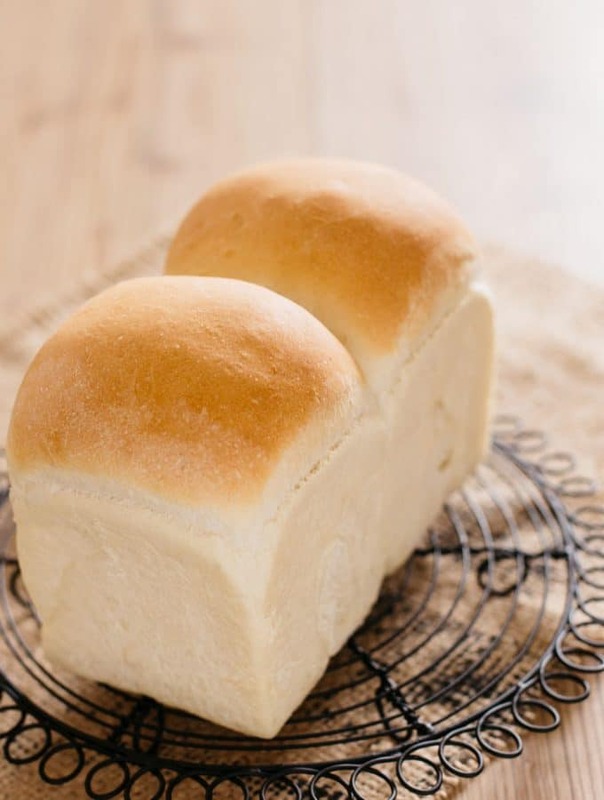 The Yudane method originated in Japan and it became widespread and popular way to bake bread when Yvonne Chen introduced “Tangzhong” roux as a secret ingredient to bake the super soft and light Japanese bread in her book called “Bread Doctor”. Tangzhong roux is made by 1:5 ratio of bakers or bread flour to water. The mixture is heated up to 65-degrees celsius then cooled down to room temperature and added to the bread dough. 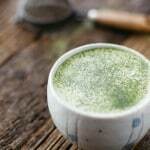 Multiple Japanese companies have patents on this method, but I found a lot of recipes on the internet. I referenced and adopted this recipe to make my Shokupan in Australia. I have seen this type of bread also called “Hokkaido Milk Bread” on social media platforms such as Pinterest often. Hokkaido milk bread is made by this Yudane method. 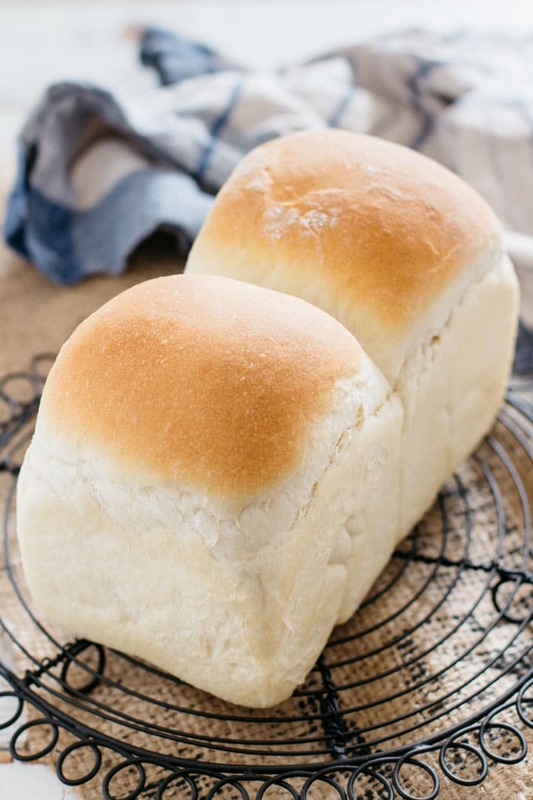 This is not a popular effortless “No Knead” type of bread recipe, however, it is worth the effort to bake this bread especially if you love any Japanese baking stuff, this is the bread you must try! 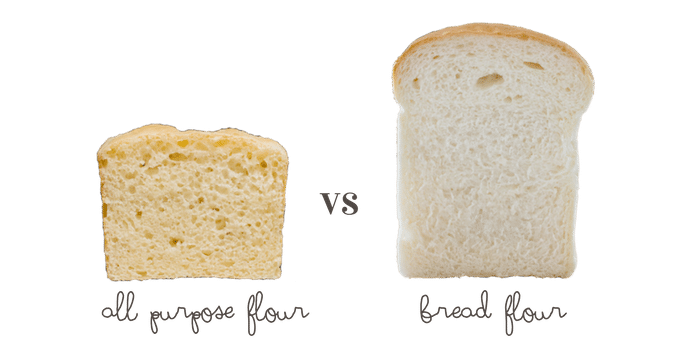 Q: Can the bread flour be replaced by all purpose flour? A: Yes, you can. But as you can see the all purpose flour did not rise well. The texture of the bread was not fluffy, but rather it was like eating savoury muffin. Q: I don’t use cow milk, can I use almond milk or something else instead? A: Using different milk does not affect the fluffiness and lightness of the bread. The coconut milk I used was the “Ayam Premium Coconut Milk 100 % Natural” which contains 24.3 g fat in 100ml and it is quite rich and thick. The almond milk that I used was “Sanitarium So Good Almond Milk” and contained only 1.4g per 100ml. It was very thin milk. The almond milk bread turned out fluffier and coconut milk bread was denser. 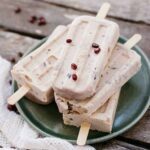 Hope these experiments using different ingredients helps you make a decision as to which ingredients to use. If you liked my recipe for Shokupan Japanese bread, please rate it and leave a comment below. 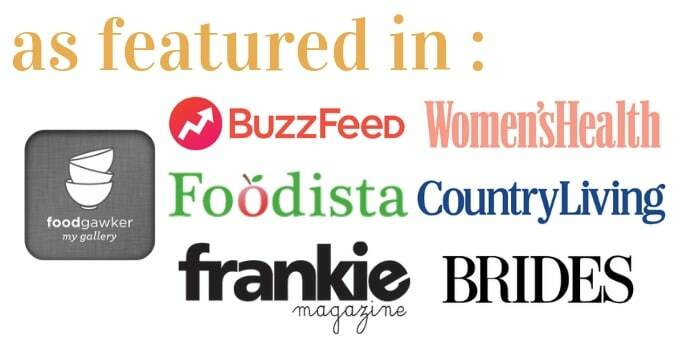 Also, don’t forget to follow me on Youtube, Pinterest, Facebook , Twitter and Instagramto keep up to date with all the latest happenings on Chopstick Chronicles. Don’t forget to use the hashtag #ChopstickChronicles so I can see your wonderful creations! Fluffy, soft and airy light Japanese milk bread loaf recipe with Yudane method. Place all the ingredients except the unsalted butter into a bread making machine or kneader with the wet ingredients first then dry ingredients. Add the Yudane (torn into small pieces) and knead it for about 10 minutes. Add the unsalted room-temperature butter and knead for another 10 minutes. 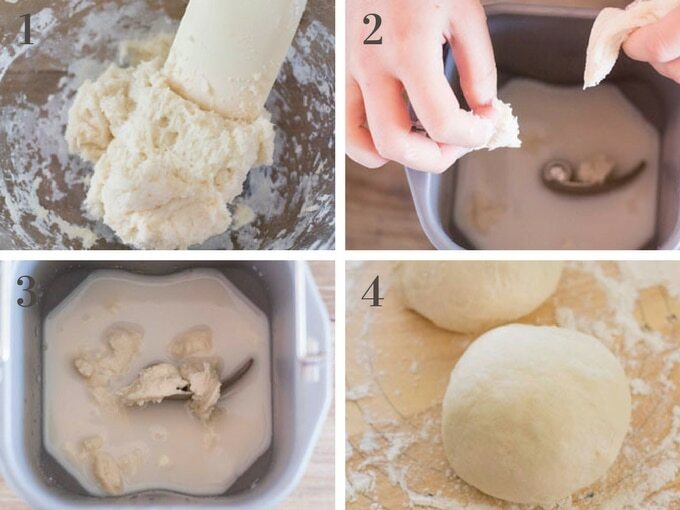 Place the dough into a greased bowl. Wrap with cling wrap to raise for about 1 hour at about 30 degrees celsius(86F) or until double the size. Punch the dough down and cut the dough into two equal parts with a scraper and roll them. Cover the rolled doughs with a wet cloth and take 20 minutes bench time. Roll out each dough to about 15 x 20 cm (5.9x7.8inch)rectangle with a rolling pin. 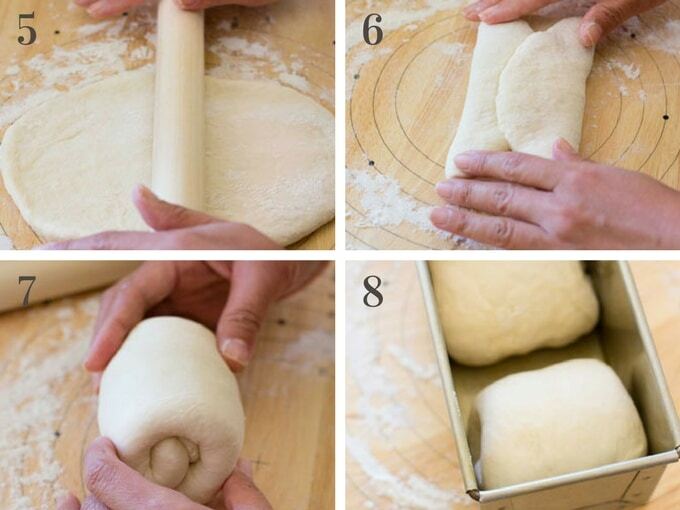 Fold the dough tightly not letting any air in towards the centre from left and right. Rotate the dough 90 degrees and roll it from one end. Spray one loaf bread tin lightly and place the rolled dough in the end of the tin facing the centre. Start to preheat the oven to 185 degree celsius (365 f). Cover it with a wet cloth and let the dough rise for a second time until the dough rises to the size of the bread tin. Bake the dough for about 25 -30 minutes. 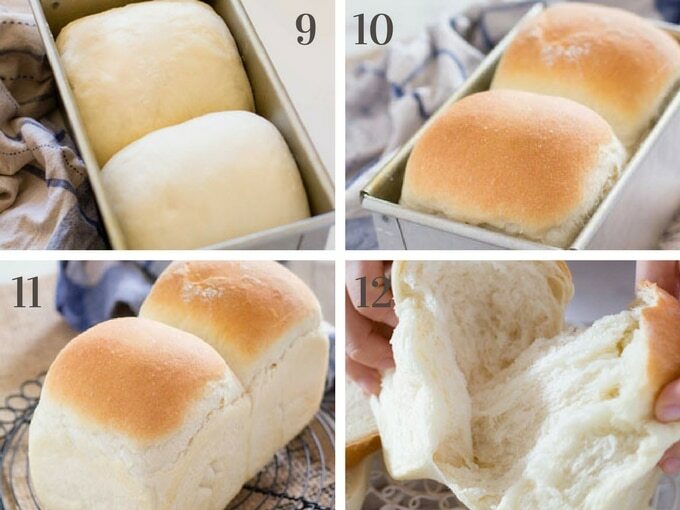 Remove the bread from the tin and cool it down on a rack. *It makes about 8 slices( 2cm =0.78inch thick) and approximately 150cal per slice. *Bread flour can be replaced with all purpose flour but fluffiness will be lost. *Milk can be replaced with other type plant based milk, but will make texture different. *1 Yudane should be made the night before but it can be prepared and rested in shorter time. *You don't need to use a bread maker, but it helps with the kneading but you can do it by hand. *my bread form size is 10 x 20 x 9 cm ( 3.9 x 7.9 x 3.5 inch). Greta picture and Nice tasted bread for sure.. do you have a class or Somothing like that for teaching all of that tasty product? Can u email me when u’re free? I tried this recipe and left the yudane in the fridge for 2 hours. The bread turn out good. Thanks for sharing. Can your share how to make bead with corn meal or corn flour. I.tried your bread..it comes out really wonderful. Is the milk portion of the wet ingredients supposed to be warmed? Hi Shirley, I am in Australia and the temperature is in Celsius. It is 365 Fahrenheit if you use this measurement. Shihoko i dont drink whole milk nor do i use it in my cooking, can i use almond milk instead or is that too thin? Also i will be substituting buttermilk and double acting baking powder for yeast because i dont have yeast..will my bread still come out the same way? Hi Dj, I don’t think it will come out the same way because I use whole milk for fat content and yeast for raise the dough. I have not tried almond milk so I am not 100 % sure but it is too thin, coconut milk might be better option? I don’t rest the yudane at all, and it still turns out pretty well! I’m sure yours is better, but the impatient baker can still enjoy reasonable shokupan. It’s maybe not worth noting, but I tripled the recipe and added an egg, so perhaps that helped? I am currently proofing a doubled batch without any egg, and will update with the result. I’ve made about 6-8 loaves now, and I think I prefer the results when omitting the egg (and I’ve switched to just doubling the recipe, as I only have two good loaf pans), but have had a very lucky time of it without resting the yudane. My only trouble is that I can’t seem to get the bottom cooked through without slightly ruining the look of the top! It doesn’t burn, but it turns a very dark brown that spoils the look of that golden brown crust. Either way, the texture is fluffy and it has a great crumb. Your recipe has been keeping me fed all week, thank you! 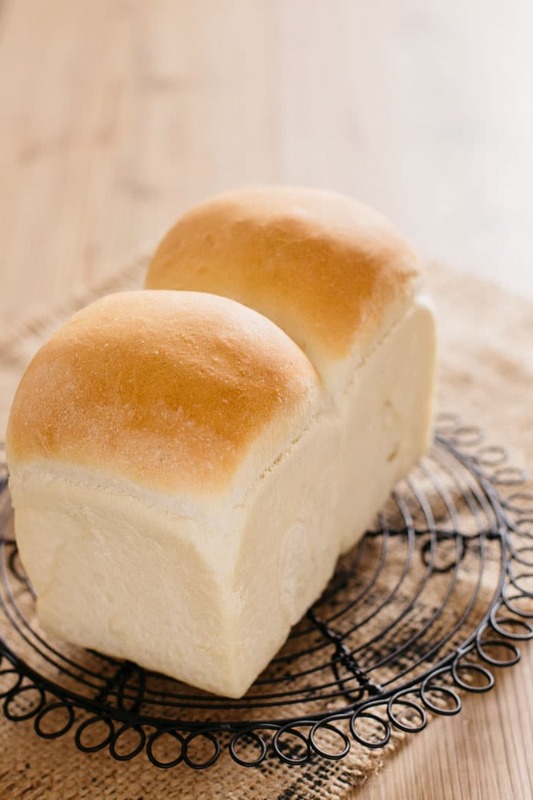 Hi Patrick, Thank you for your report 😀 I love Brioche and thinking if I add eggs or may be substitute part of milk with eggs, this bread may become texture like Brioche and probably add more sugar too. I will try sweeter bread soon. And for the golden brown colour, how about baking the bread on the bottom lack of your oven or lower temperature? this bread is wonderful i love it !! It’s SOOO fluffy and soft! Loving this recipe. 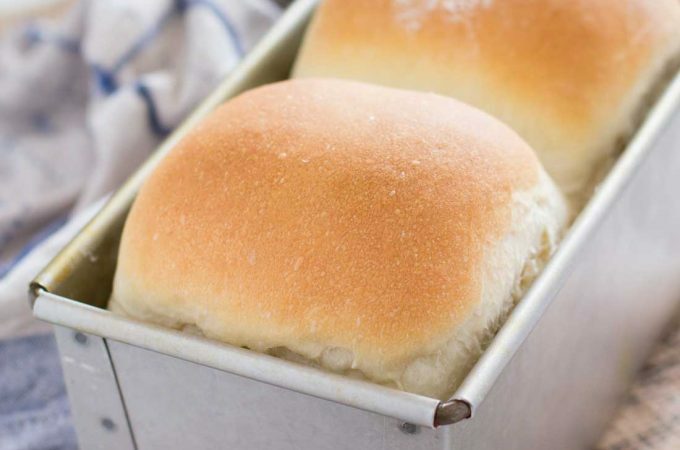 Makes great dinner rolls and slider sandwiches. How interesting! I’ve never heard of this delicious sounding bread before but it sounds a little like French brioche which I adore. Thank you for teaching me something today. I’d love to give this a try! Thank you Helen. Yes I am going to try adding egg which will make this bread a bit like brioche 😀 Brioche is my favourite bread. Love this bread recipe. Its so soft & fluffy, Bread still soft on the third day. Thank you. Hi… recipe looks great. Would like to ask if I can use wholemeal flour instead? If can, is it the same measurement as the normal bread flour? Hi Michelle, yes you can but texture will be different and yes you need to change the ratio of ingredients. Because wholemeal flour inhibits gluten making and becomes bread hard, so add 10 to 15% to the bread flour. And also need to be careful with amount of moist ingredients adding. Add moist ingredients 2% less than bread made with 100% bread flour. If i want to make 1 kg bread flour, how many grams is my ingredients. And the weight of yudan. If i use 1 kg bread flour. I am preparing the Yadane now , but I wonder what is the difference between Tangzhong method and Yadane. I tasted wonderful toast in Nagoya so when I came home I found your recipe which is brilliant! Thank you for this recipe which worked really well – I have made three loaves this week! Excellent post. The images are so much more helpful than trying to explain it. Love your website – looking forward to more. 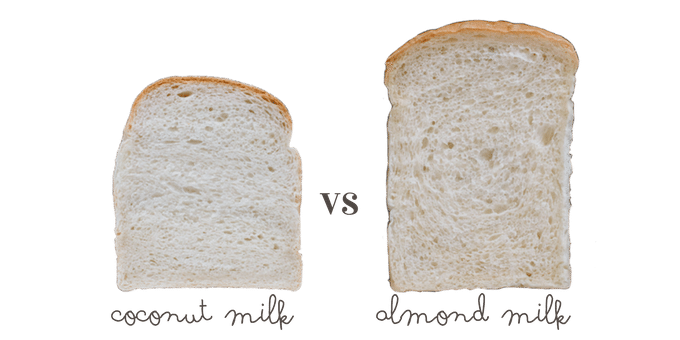 Love all the tips and the visual difference between the coconut and almond milk here! Outstanding! Love this post! Thank you for explaining all of the options! I love the texture of this fabulous bread! Thanks for the details on how to make this wonderful recipe. I am very interested in trying this recipe. I was wondering if i can add sredded coconut and use coconut milk for it to be like a coconutbread? I know that you’v tried it with coconut milk, but does adding shredded coconut affect the texture of the bread? Hi LT 😀 I have never made coconut bread though used coconut milk in my shokupan. So I am not sure if it will be like a coconut bread. And it is depends on how much you add shredded coconut. I sometimes add raisins to make fruit bread using same method and it is as fluffy as this shokupan so if you don’t add too much it will not affect the texture. Can we use self rising flour instead of bread flour? Hi Henry, you can but the texture of the bread will not be as fluffy as using bread flour. I included photos in the post. Self rising flour is baking powder added plain so the texture will be similar to that. I’m wondering of how the yudane works here as opposed to one where the mixture is cooked , stir until it’s almost pudding like. Also, the water to flour ratio here seems to be different from the popular 5:1. Can you help explain? I’m working on a batch using your recipe, but double it to fit into the only loaf pan l have in the house, the Pullman pan… I won’t have enough patience to rest the yudane overnight, but I’m planning to let it rest at room temperature for an hour or so…. Looking forward to reading your comments! Thanks so much! Hi Adelina, thank you 😀 The ratio is for Yudane method is 1:1 it just different method. 5:1 is the ratio for Tangzhong Method 😀 It works same principle but I think Yudane method retain moisture more than Tangzhong method. Hope your batch turn out delicious bread! I am new to baking bread. Would love to try out your recipe. Instead of baking in oven, can I bake ithe bread machine itself? The bread looks sooo pillowy soft and delicious! Would like to try baking it but as I don’t have a bread machine, can I use a stand mixer for kneading the dough? If so, will the kneading time be the same as stated in the recipe? 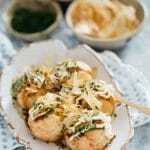 Thank You so much for sharing so many amzing recipes. I Love them all and Going to Do them all. Red bean pan is my favourite. I tried this one first. In Cairns, We have a Japanese loaf shop, a small Lovely shop fantastic Bread freshly made and Nice atmosphere there. Have all Bread on your website, so excited to find your website. Konnichiwa Sara-san 😀 There must be Japanese grocery stores in Cairns. If you can find one, I usually buy Nisshin(日清）brand strong flour(カメリア強力粉麦粉）If your dough is too sticky may need to adjust wet ingredients? Mine did not turn out fluffy although the flavor was good…i followed the recipe exact! I’m so bummed! Hi Amy I am sorry the bread did not turned out as you expected. 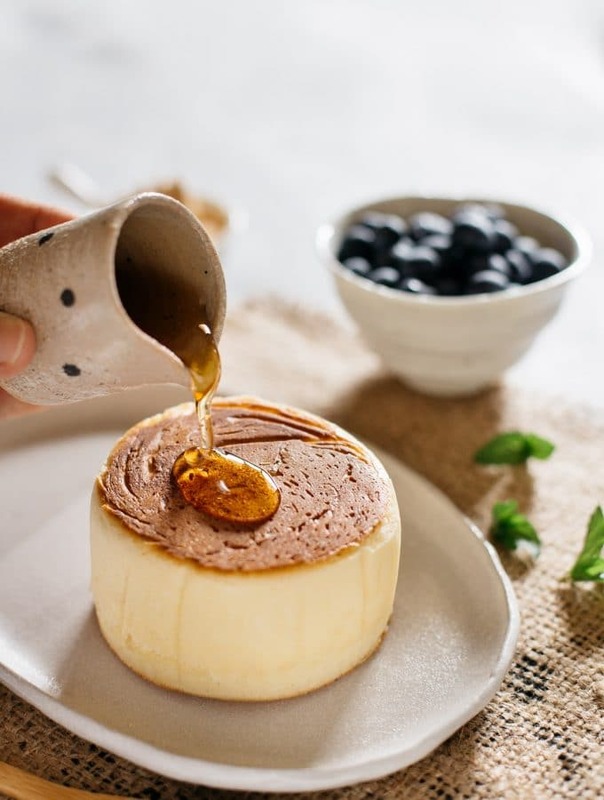 There are many factors affect the end result, even you follow the recipe exactly, all the ingredients you used might have been different (in terms of brand and also how old the ingredients are), temperature in general is different etc. Hi, can I add milk powder into the recipe? Would 10g be ok? Hi Lidia, not sure. Why do you want to add milk powder? Milk is already used in the recipe. Are you going to replace the milk? some other recipes i have seen used the milk powder to enhance the flavour of the bread further. But I am not sure whether it works here. I will try baking the bread using your recipe. thanks for your reply. Hi, i have tried your recipe 3 times. The 1st time it turned out well. Bread is pillowy soft. Last 3 days with same txture! When i tried to double batch it with savory ingredients, i have problems. My bread becomes slightly chewy yet soft (soft but not fluffy). Is there something i should look out for? I use bacon and ham for both tries. Sorry Pei jun, it because you change the recipe by adding bacon or ham? I dont what I did wrong but my yudane is very lumpy. Is it the right amount of water and flour? 50gr of bread flour and 40ml water? Hi Diana, yes the amount of water and flour are correct. I am not sure what went wrong. Did you masure properly and used correct flour? I am not a very experienced baker, and so I was very interested to try a new technique! I prepared my yudane yesterday, and baked the loaf tonight – very soft and delicious. Mine did not rise as much as your exemplar (actually only about half as high in a baking tin the same size), but to me that is a good result, because it means I have to try again! Hi Emily That is great effort and result. Is the temperature cold? where you raise your bread? You may be needed longer raise time than I stated? raising time is just a guide and you need to adjust the time according to the temperature. Thank you! I love the recipe so much. The bread turn out very soft and good too. When I was naking the Yudane I added more 30ml hot water to the flour to get a pudding like paste. The dough is very wet so i added 40g bread flour during the kneading process. The turn out is lovely because I put some shredded cheese & brown sugar for the topping before baking at 180°C for 30 mins. Hi Shihoko! Thank you for the lovely recipe. The results is fantastic and my family love it so much. The texture is so soft and fluffy. When i make the Yudane i added another 30ml hot water to get a gluey pudding texture. Then during kneading i added another 35ml flour to reduce the stickiness of the dough. Hi Shihoko, I am not a fan of butter, and would like to substitute with oil instead. Will that make a difference in the end result? Hi Nancy, I have not tried with oil so not 100%sure but you can substitute with oil. I think the end result will not be same but will not make huge difference. The flavour and fluffiness will be different. my favourite bread at home. thanks for the recipe. luv it. Is it possible to replace the dried yeast with my sourdough starter? Hi Pam, it is possible I think but you need to change the recipe, the liquid and solid ingredients ratio. That’s fantastic Pam. I am trying to make one with natural yeast but don’t know when I can post 😀 I am working on it. Can’t wait! 🤗 btw, I notice once I bring my loaf out of the oven, the bread deflates and the skin is not firm but goes soft..do you know why? can i replace the sugar?with sweetener? Made another batch of this recipe to be eaten nexr morning. The family love the texture of it. Cut a thick slice n made a “toad in the hole” with eggs. I tried it n it was delicious. I did eggwash it before going in the oven. N once cook, brush some melted butter on it. It have a shiny appearance but still soft to the touch. Im from perth, australia. Could I double the recipe and bake a larger loaf. Love the texture and flavour! I tried this today and it did not rise enough. I’m in the USA, perhaps I should use a little more yeast? I used a bread maker to knead the dough. I will try again! I put it next to a warming oven so I think it should have been okay. My overall dough seemed too moist too so I will see. Second try rose much more and is looking good. Tsugi wa shikakui katachi or challenge shitai kedo, kono recipe o double shitara seiko dekirukashira? Katsu sando o tsukuritaino desu. Colette さん　成功することを　願っています。カツサンド　ができると　良いですね。Please let me know how it went. I tasted my 2nd attempt today, while it rose much more, it still was more like a dinner roll than shokupan.. Meaning that stretchy fuwa fuwa texture wasn’t there. It’s soft but still a little more dense than yours. I did notice my loaf pan is less deep than yours and I used a glass loaf pan. Going to try again with double the recipe and a pullman loaf pan, but welcome any advice. I just found your website a few days ago. 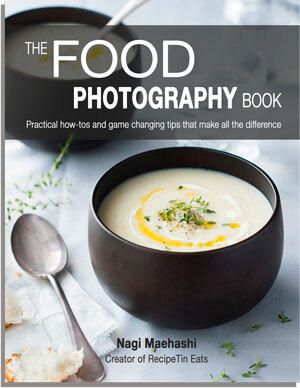 And I can’t stop myself from reading everything and try one recipe each day. Last night I finally made this shokupan and the result is unbelievable fluffy and I can say that this bread is the best bread that I ever tried. Arigatou..
Hi G. Thank you for trying this and your feedback. If it over cooked, next time you may need to bake for less time as everyone’s oven is different. It is 2019 and I am decided to try again making my own bread, I love shokupan and since the only bread I have succeded before is hamburguer buns, this is a good start. I am now done with kneading, hope it raises well. If I want to knead by hand, will you recommend the butter to be added later also? I had tried another shokupan recipe almost similar with yours but whenever I tried to double the recipe, the exterior doesn’t come out as snooth as if I only bake one recipe. I proof the dough inside my oven (without turn it on) and put hot water in a small basin to make the oven warmer. I will absolutely try your recipe. I admire your patience answering all questions since last year. Thank you for sharing this with us. Thank you Maria 😀 for reading my blog. Yes I will recommend the butter to be added later because if you add butter early on, it prevent the dough create gluten. Hi, I want to try and make this but I’m not sure if we have bread flour here in NZ? Is it called something else-high grade flour? Thanks! Hi Liling, The bread flour I use contain 12% protein. If the flour has 12 or above, it would be good to use. I made this bread.. It disappeared . Family loved it. Thank you so much for sharing! Ohhh Thank you Kiki lee 😀 I am glad that your family loved Shokupan! 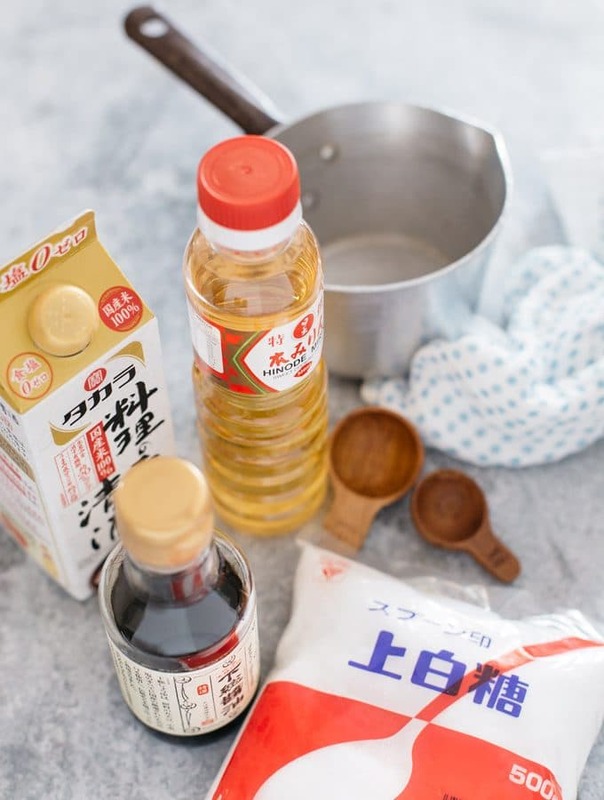 Shihoko, your video and picture comparison using different flour and milk were so interesting and helpful, what a nice, addition, thank you. This is my first time making bread and I mixed up instant and active yeast. Other than that, I followed your recipe, weighing everything exactly as written (not typically done in u.s.). I don’t have a bread machine but used a kitchen aid mixer with a hook attachment, worked fine. Let Yudane sit overnight as directed. As one of your other reviewers mentioned, a cartoon “Sarah and Duck” from the UK makes this Shoku Pan using a cloud, since it is such fluffy bread. The images are so sweet and beautiful my two little boys begged me to make it. Google the episode if you can, it will warm your heart! Great recipe, even with my error and lack of skills, it turned out wonderfully. I have made it twice now, and I plan to make it a few more times now that I have the process down! Arigatou gozaimasu! Hi Katie, how sweet. I am glad the shokupan turned out fluffy and made your boys happy 😀 I am interested in how typically done in U.S. Would you mind tell me more about how bread recipe written? Is it the way ingredients measured ? 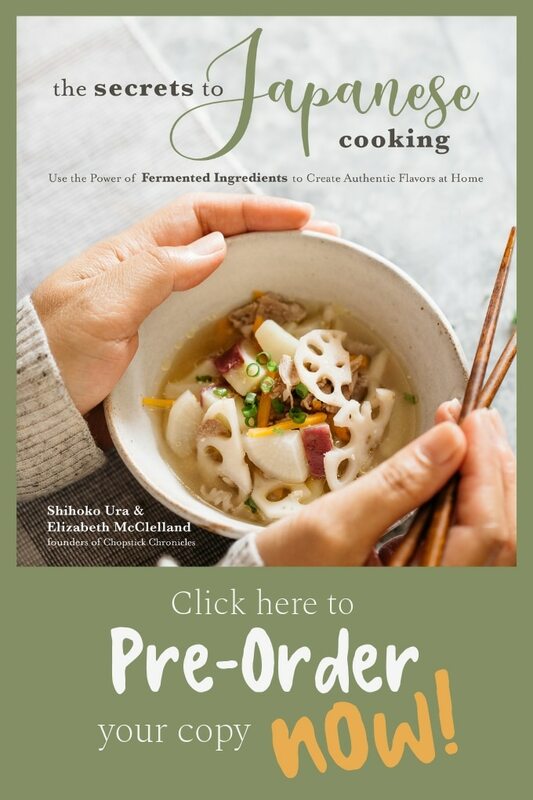 Yes, Shihoko, ingredients are measurements in “cups” for dry and wet ingredients in baking and cooking in the US. This is a terrible practice for baking as a cup of baking flour can be much more than or much less than the recipe intended. Your recipe by weight is much more likely to turn out properly for anyone trying it! So thank you. We just ate some slices fresh and warm and decided to try a bit toasted with melted butter and cinnamon sugar. Excellent! Another loaf is rising to fit the baking pan as I write this! It is cold here so I put this one in the sun and on top of a heating pad, it is growing nicely! Thank you for inspiring a day of family baking, I can’t wait to try your other recipes! 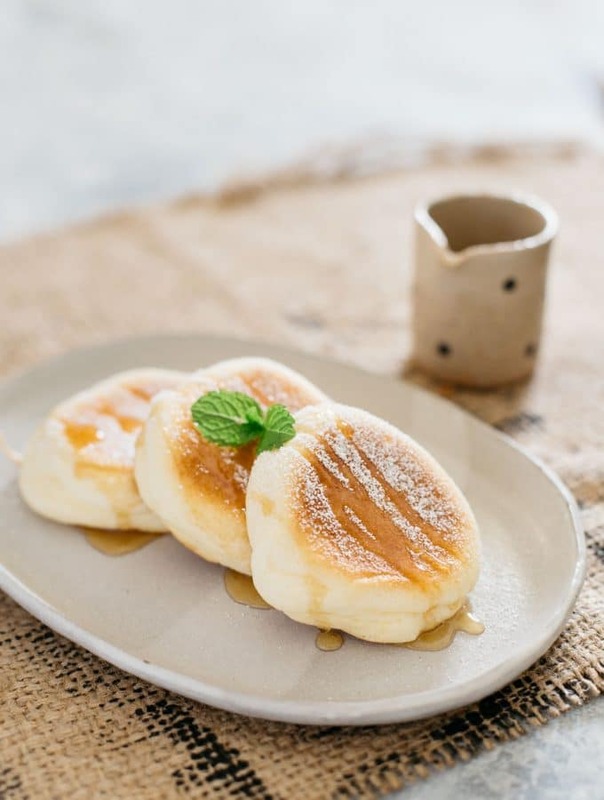 Hello Shihoko thank you for the recipe I would love to give it a try can you please provide the recipe in Grams instead of measuring spoons thank you From Kuwait with regards and respect. Hi. What do they fill it with the filled fluffy? Thanks. Hi Peter, I am sorry I don’t understand your question. ? I saw on youtube filled Japanese bread. It was the basis though, only turning up it was filled with filling. Only the Japanese language no my strength and i don’t know what it was filled with. I’m so sorry. I did not stir the two languages once more. Hi, I wanna try this recipe with the bread maker, what’s the weight of this serving portion listed?